At the age of 12, Matthew Webb enrolled as a sea cadet on the naval training ship, the HMS Conway in Liverpool, England. He became an experienced sailor and throughout his years at sea, he became a very good swimmer. He became famous for his swimming achievements. Many of these achievements were from saving human lives, or for feats such as swimming the English Channel. In 1873 Webb became the recipient of a gold medal from the Royal Humane Society of Great Britain for lifesaving. He obtained this when he jumped off the Cunard steamer, named "Russia", to save a sailor who had been washed over board. 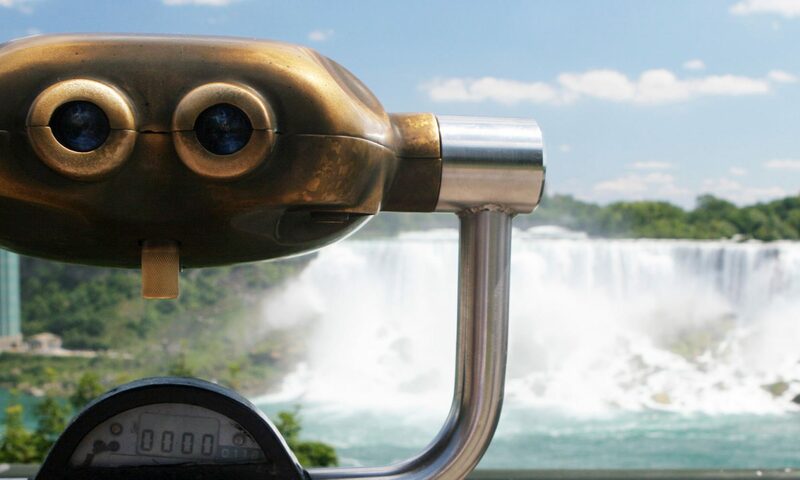 Webb came to Niagara Falls during the summer of 1883 with the sole purpose of challenging the vicious Niagara River. He was promised a $2,000 reward if he successfully swam through the Niagara River Whirlpool Rapids. At 4 p.m on July 24th 1883, Captain Webb was rowed out from the Maid of the Mist landing to the middle of the Niagara River. At 4:25 p.m., Captain Webb dove into the river and began swimming towards the mighty whirlpool rapids. There is a major conflict of opinion in the case of whether Captain Webb made it through the rapids. Some eye witnesses believe that he made the trip through the rapids in two minutes but was drawn underwater at the Whirlpool. The other view is that Captain Webb drowned in the rapids before he made it to the whirlpool. Either way, four days later Captain Webb’s mangled body was recovered near Queenston.